" EVERY CLIENT MATTERS "
Our multi-jurisdictional law firm has over 30 years of trial experience and Peter has a dual license to practice law in California and Nevada. We invite you to call our office for a free consultation so we can evaluate your case. 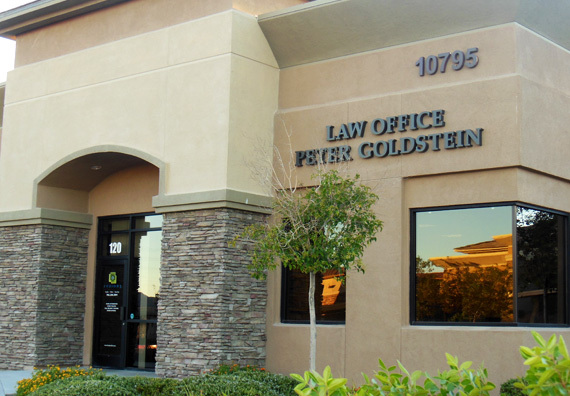 Peter Goldstein “A Personal Injury Lawyer” is a member of the following organizations: Consumer Attorneys of California, Consumer Attorneys of Los Angeles, Nevada Justice Association, the American Board of Trial Advocates and the American Association for Justice. Peter Goldstein has tried many cases to verdict recently prevailing after 12 years in a case against the State of California which resulted in a settlement of over $10 million. Call today for a free consultation (702) 474-6400. In California call (310) 552- 2050. Thank you for visiting my website.